Lucy and Linus are gazing out the window at a staggering downpour. SOURCE: Sam Storms. Preface to Tough Topics: Biblical Answers to 25 Challenging Questions. Wheaton, IL. : Crossway, 2013. As someone who was brought up in Cessationist churches and schools I was always taught that the miraculous gifts in the Book of Acts and 1 Corinthians had ceased and were no longer in use today. In 1999 I went on a missions trip to India and witnessed several healing miracles, heard several prophecies, and personally experienced the power and presence of the Holy Spirit like I never had before. These experiences didn’t jive with what I had been taught about the ceasing of miraculous gifts. Since that time I have participated in several churches that are “open but cautious” and “Charismatic” about miraculous gifts and their usage today. My experience has taught me that the miraculous gifts do indeed exist today. However, what about abuses, and what about sound exegesis and what are the applications today of the relevant biblical texts on miraculous gifts? Is there a theologically sound basis for the usage of the miraculous gifts today, or have these miraculous gifts ceased? Enter in Sam Storms. Following on the heels of another Dallas Theological Seminary grad – Jack Deere – Storms was skeptical of miraculous gifts today. However, Storms’, like Deere, was unconvinced of the exegesis of Cessationists and that coupled with his experience of the miraculous gifts through him, and around him changed his course of belief and practice of the miraculous gifting of the Holy Spirit. Dr. Storms defines Spiritual gifts in this manner: “Spiritual gifts are not God bestowing to his people something external to himself. They are not some tangible ‘stuff’ or substance separable from God. Spiritual gits are nothing less than God himself in us, energizing our souls, imparting revelation to our minds, infusing power in our wills, and working his sovereign and gracious purposes through us…[in summary] Spiritual gifts are God present in, with, and through human thoughts, human deeds, human words, human love.” The rest of the book is an expansion and exposition of the miraculous gifts based on this definition of the Spiritual gifts addressed in 1 Corinthians 12-14. Storms does a remarkable job of providing scholarly exegesis and practical insight of the nine miraculous gifts mentioned by the Apostle Paul in 1 Corinthians 12-14: (1-2) Words of Wisdom and Knowledge; (3-4) Faith and Healing; (5-6) Prophecy and Distinguishing Spirits; (7) Miracles; and (8-9) Tongues and the Interpretation of Tongues. I highly recommend this book to all evangelicals from the spectrum of Pentecostalism to Presbyterianism. I think Storms gives much needed food for thought to Cessationists, those who hold to an “Open but Cautious” view, Charismatics, “Third Wave,” and Pentecostals – as well as needed correction to those who practice “counterfeit” and spiritual gifts in an unbiblical manner. Though this is a controversial topic, Storms writes with much love and patience with those who disagree with his views. 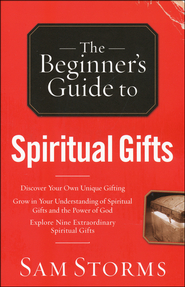 I found the book to be convincing in many respects, packed with wisdom, and especially helpful in understanding spiritual gifts that I have never personally experienced, but have been the beneficiary of from other believers – especially the gifts of prophecy, faith and healing. 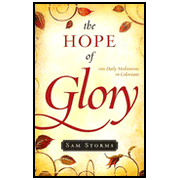 Storms has written an easy to read, yet theologically articulate guide to help Christians understand the miraculous gifts; their function in private and in corporate worship, and guidance for their development and application in the light of the Scriptures. This book contains various perspectives from leading theologians on issues related to that which continues and discontinues from the Old Testament into the New Testament. Half of the contributors in this book would consider themselves “Covenant Theologians” – including contributions from O. Palmer Robertson, Willem VanGemeren, Knox Chamblin, Bruce K. Waltke, Fred H. Klooster, Martin H. Woudstra, and Sam Storms. The other half would lean dispensational or in the discontinuity camp – including essays from John S. Feinberg, Paul D. Feinberg, Robert L. Saucy, Walter C. Kaiser, Allen P. Ross, and Douglas J. Moo. The book is a tribute to S. Lewis Johnson– long time Bible teacher at Dallas Theological Seminary and Teaching pastor at Believer’s Chapel in Dallas, Texas (he went to be with the Lord on January 28, 2004). The beginning of the book and ending of the book contain some well written tributes from Sam Storms and John Sproule to Johnson and expound upon his outstanding attributes as a scholar, exegete of God’s Word, pastor, mentor, friend, and southern gentlemen – he was born in Birmingham, Alabama. After a wonderful historical essay on the debate of continuity and discontinuity by Rodney Peterson the format of the book addresses issues related to six key areas: 1) Theological Systems and the Testaments; 2) Hermeneutics and the Testaments; 3) Salvation and the Testaments; 4) The Law and the Testaments; 5) The People of God and the Testaments; and 6) Kingdom Promises and the Testaments. Each of these six topics contains an essay from a continuity perspective followed by an essay from a discontinuity perspective. Are Christians to see ethical dilemmas such as capital punishment and abortion enforced today? Are Israel and the Church one or distinct today? How do believers relate to the Old Testament law in practice today? One of the points that became increasingly clear to me as I read this book was that the more one moves in the discontinuity direction, the more dispensational he is likely to become, and the more one moves in the direction of continuity, the more covenantal he will become. This book is simply outstanding. It’s not an easy read – but well worth the effort. In my experience most people from both sides of the continuity/discontinuity continuum have a lot to learn from one another and this book helps people in either camp come closer to the center in balancing how to effectively understand and interpret the two Testaments of the Scriptures. I highly recommend this book to help you become a more effective interpreter of the Scriptures and lover of Jesus Christ at the center of it all. I chose the book of Colossians as the first book to preach through in the church where I am the pastor of preaching. A large part of the reason I chose to preach through the book of Colossians is because I read Storms’ book on Colossians and benefited from it so much, that I felt like I wanted my flock to benefit from the great truths to be mined from the book of Colossians. Colossians’ bottom line is all about Christ being our sufficiency period. As a pastor there is no truth that I want to convey more in my preaching, counseling, coaching, discipleship, and any teaching situation I find myself in. I find that the older I get and the more I experience and see people struggle – that our greatest need is always more of Jesus. It’s not a cliché – it’s just true. I find that this book is useful as both a commentary and a devotional. Dr. Storms is a gifted scholar, but he is also a pastor and wonderfully balances mining the depths of Christ to be found in the book of Colossians with profound wisdom always leading to personal encouragement and application. I am reading this book for the second time, and if the return of Christ lingers, I believe this will be a book I return to again and again to be encouraged in the infinite treasures that are to be found in the person and work of Jesus Christ. I highly recommend this book as one you will come to again and again to be encouraged in your walk with Jesus.